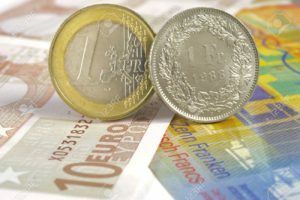 Being an expatriate probably means that you are used to dealing with multiple currencies on a regular basis and have different accounts to hold your Euros, Swiss Francs, British Pounds and US Dollars amongst others. In order to add further value to our existing and prospective clients SuisseRock Asset Management recommends Currency Index, a leading FCA-regulated currency specialist, to ensure you get the best exchange rates when moving funds internationally. Basic financial planning involves you ensuring that you maximise your capital and make sure it is working hard for you. This also includes making sure you get the very best exchange rates available when making your transfers. Our partners only work in this sector and are able to better most bank rates by a significant amount. So next time you need to make a transfer make sure you contact us first for a free no obligation quotation. Exchange rates can vary hugely between providers, and Currency Index can beat your bank’s exchange rate by up to 4% – potentially saving you thousands of pounds, Euros or Francs when sending international payments. Whether you are investing in overseas assets, buying a property, or simply repatriating foreign earnings, Currency Index can help manage your exposure to the volatile currency markets too. You will also have your own account manager, to help you with every aspect of your currency transfers from start to finish. And for additional assurance on the service, read their independent customer reviews here. The firm have won multiple awards and can help with any aspect of international currency transfers. IF YOU WOULD LIKE TO RECEIVE A QUOTE PLEASE LEAVE YOUR DETAILS BELOW AND ONE OF OUR TEAM WILL GET BACK TO YOU RIGHT AWAY.